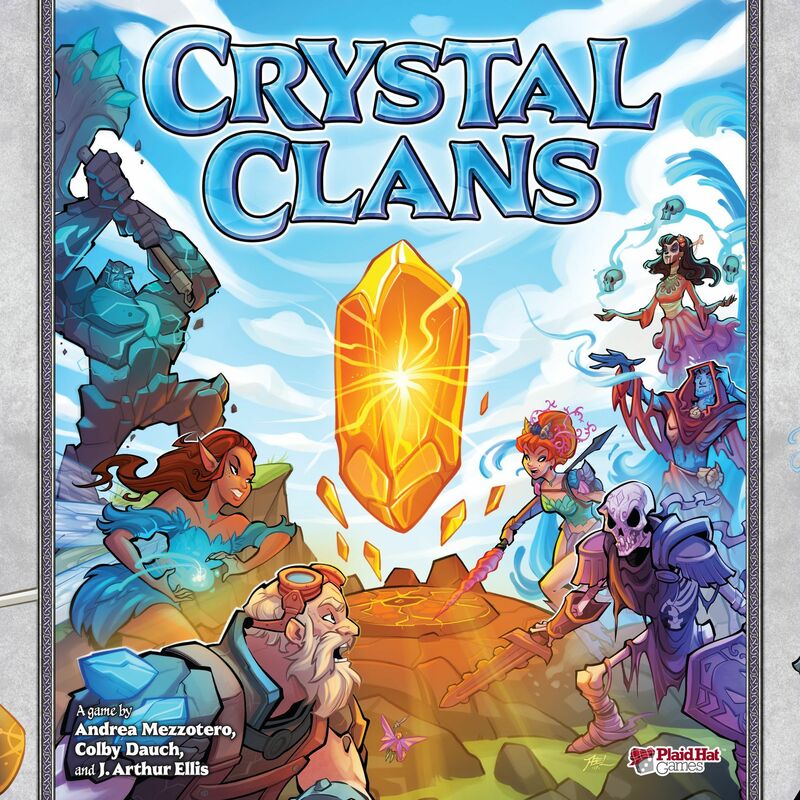 Choose your clan, prepare for battle, and fight for control of powerful crystals in Crystal Clans, a battle card game for two players. In every game of Crystal Clans, you go to battle with unique armies, seeking to outmaneuver your opponent and lead your squad to victory. Six clans stand ready to battle for dominance, including the adaptable Water Clan, the peaceful Flower Clan, the relentless Skull Clan, the innumerable Blood Clan, the wise Meteor Clan, and the unyielding Stone Clan. Each clan's cards can be used in multiple ways, giving you more options and adding surprise to each battle. The first clan to claim four crystals wins the game and fulfills their destiny to dominate the world. Wenst u het gezelschapsspel "Crystal Clans" aan te kopen?